Earlier, an Israeli official called Russia's S-300 deliveries to Syria "a big mistake" and warned that Israel would target the air defenses if they fired on Israeli jets. Russian Foreign Minister Sergei Lavrov warned Israel that new attacks in Syria would not resolve Tel Aviv's security concerns, but only serve to increase regional tensions. "We are concerned very much about the S-300 system being deployed to Syria. The issue is at the detail level. Who will control it? What role will it play," US special representative for Syria engagement James Jeffrey said, speaking at a press conference on Wednesday. Russia started deploying its S-300 air defense systems to Syria on October 2 in response to a September 17 incident involving the downing of a Russian recon plane by Syrian forces defending against an Israeli air raid. 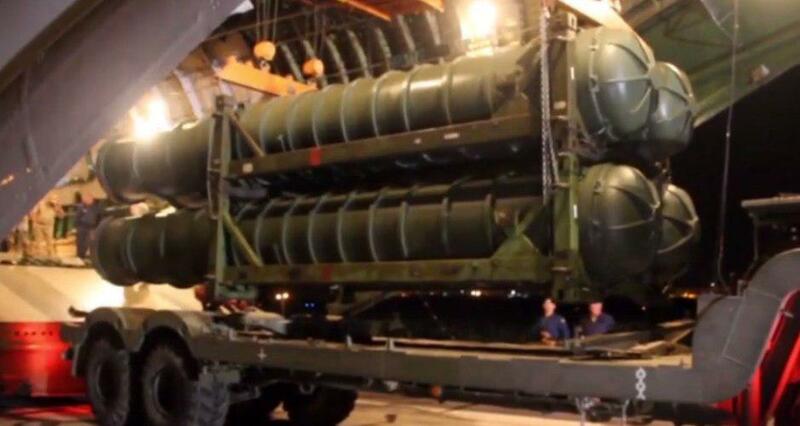 The S-300s were part of a series of measures taken by the Russian military aimed at bolstering Syria's air defenses against future air attacks and assuring the safety of Russian military personnel in Syria. "Our immediate effort is to try to calm that situation down and then move on to a long-term solution," Jeffrey said, commenting on the downed Russian plane, adding that the incident points to the dangers of having multiple militaries concentrated in a small area. "Russia has been permissive, in consultation with the Israelis, about Israeli strikes against Iranian targets inside Syria. We certainly hope that that permissive approach will continue," the US diplomat noted.